Thanks for visiting our iCat support page. The contents of this page are designed to assist you with overcoming whatever obstacles that might interfere with the correct function of your cat's personal iCat web cam. PLEASE NOTE: iCat public viewing hours are between 8 AM and 8 PM, 7 days a week. 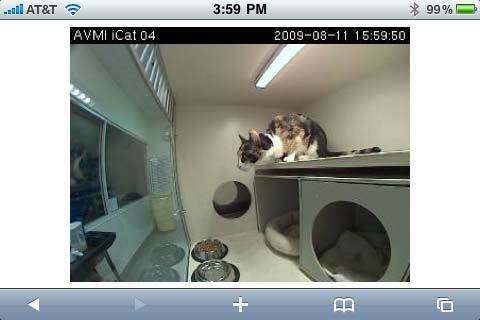 Rest assured the web cams are live 24 hours a day, 7 days a week to supplement our ability to oversee your cat's hospitalization. However, if you are attempting to view your cat's iCat web cam after 8 PM you will see the following text in place of the web cam image. ensure our patients get all the rest they need. Click on the iCat Web Cam support link below for assistance.